The Jobaria (monster) is the most powerful 122-mm artillery rocket system ever built. 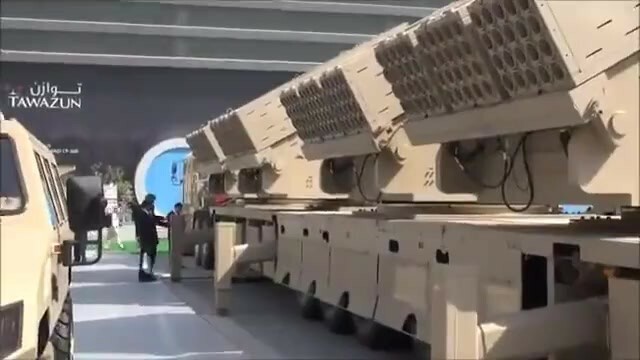 This multiple launch rocket system has been developed in by United Arab Emirates in cooperation with Roketsan of Turkey to meet the UAE requirement. However final assembly of this system takes place in the UAE. The main goal was to put one battery of rocket launchers on one vehicle. 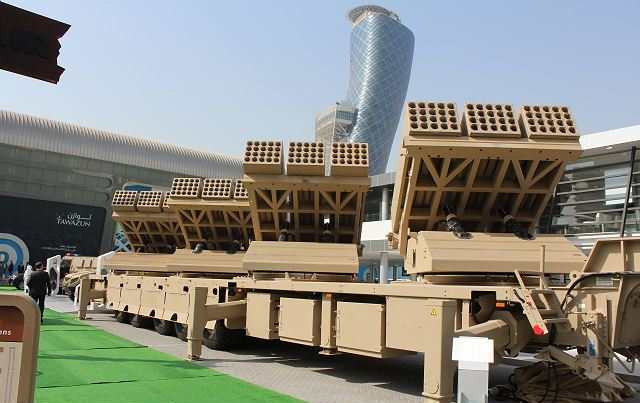 This new multiple launch rocket system was first revealed in 2013 during IDEX exhibition held in Abu Dhabi. 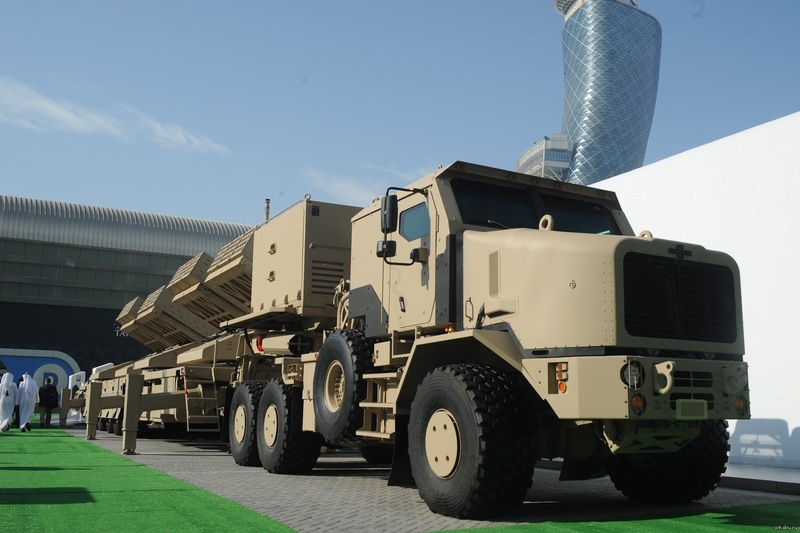 United Arab Emirates have received an undisclosed number of these artillery systems already. The Jobaria MLRS consists of Oshkosh 6×6 heavy equipment transporter, towing a 10-wheel semi-trailer with 4 power rocket launchers. Each launcher has three pods with 20 rockets each. This rocket system carries a total of 240 122-mm rockets. A single Jobaria system replaces a full battery of rocket launchers mounted on 6 trucks with a crew of 30 men. Rockets have a maximum range of 37 km. A full salvo covers an area of 4 km². Rockets are stored and launched from pods for rapid reloading and interchangeability of various calibers. Some sources claim that Jobaria is also capable of launching a total of 240 107-mm rockets, with a maximum range of about 11 km. Alternatively it can launch 16 TR-300 300-mm rockets with a maximum range of up to 100 km. This artillery system is operated by a crew of three. Crew members are seated inside and operate from protected cab. It’s armor provides protection from small arms fire and artillery shell splinters. The cab also has NBC protection system. 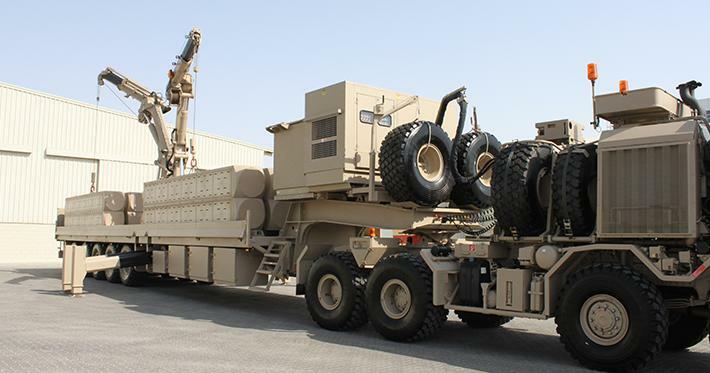 This new multiple launch rocket system is supported by a dedicated resupply vehicle, which carries a full set of reloads and is fitted with two cranes. Each crane replenishes two rocket launchers. Reloading takes about 30 minutes. There is also a lighter Mini Jobaria, based on the Nimr 6×6 vehicle. It carries two pods with a total of 107-mm rockets. The Nimr is a HMMWV-style wheeled all-terrain tactical vehicle family manufactured in Jordan by Advanced Industries of Arabia, a Bin Jabr Group company. The vehicle also features composite ceramic armor and central tire inflation system. The vehicle is based on a flexible modular concept to provide support for a wide range of missions. 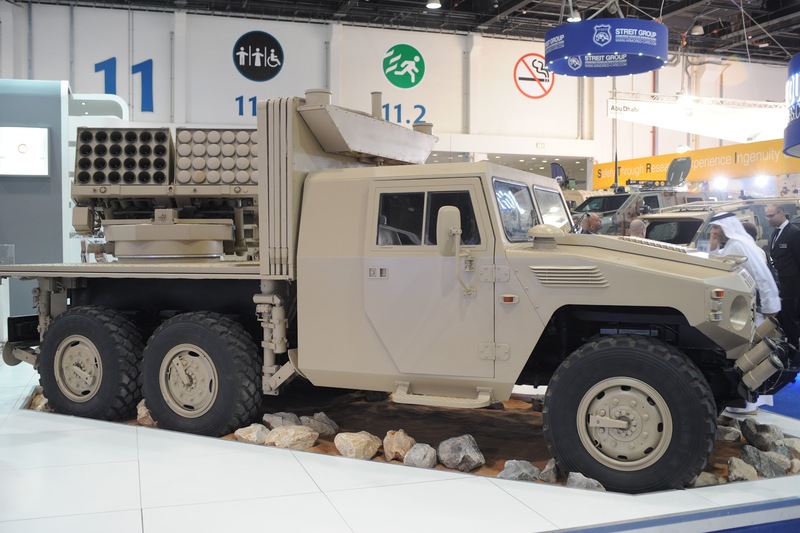 The Nimr is available on both 4×4 and 6×6 wheeled chassis. All models are powered by a Cummins EUSB 190 diesel engine developing 146 Kw of power which provides a top speed of 140 kph on road and a cruising range of 700 km. The Emirates Defense Technology (EDT) Mini-Jobaria is a modification of the Nimr 6×6 tactical vehicle to perform as mini-Multiple Launch Rocket System (MLRS). The Mini-Jobaria can be equipped with 107mm, 120mm or 128mm artillery rockets inside a rear launcher. In the 107mm configuration the vehicle carries a launcher with 48 tubes to hit targets at a maximum range of 12 kilometers. The high mobility Mini-Jobaria can fire a complete salvo of 48 rockets and re-locate to a new position within two minutes. This entry was posted in Uncategorized on November 2, 2015 by nonothai.